Meze Audio turns up the heat in the hotly-contested high-end headphone sector with the radical Empyrean, claiming the first ‘Isodynamic Hybrid Array Headphone’. Read our Meze Empyrean Review. For headphones. Ulp!… Meze Audio isn’t messing around with its assault on the state-of- the-art and, thankfully, its new Empyrean model goes to great lengths to justify that price. These ooze with innovation, the construction is impeccable – all the better to convey immediate perceived value – and, thanks in no small part to the impressive packaging, an air of luxury rare in hi-fi. Which is what I have been screaming about for years: these tell you that you’re getting what you pay for, and in spades. How the cans arrive is as good a place as any to start. The Empyrean comes in an aluminium briefcase that I would be happy to use for just that purpose; conveniently, the sculpted, fitted foam inserts can be removed with ease. It’s so well made and attractive that I almost thought it came from Rimowa, the German maker of the ribbed aluminium luxo-luggage that seems to have taken over the planet. Along with the headphones nestling securely in a cutout are two separate sets of leads that deserve comment, as both are, in their own way, slightly ill-conceived. First, let’s dismiss the practicality element as it relates to the 1m pair terminated in a mini-jack for use with portables. I cannot – by any stretch of my experience as a seasoned traveller – imagine anyone so masochistic as to schlep a pair of these massive-by-any-standards cans onto a train, or fill up their hand-luggage allowance for a flight, or climb on a bicycle… let alone wear them jogging. Dream on. these user-unfriendly wires that actually mitigate against mobility? Free movement is essential with headphones, even when sitting down in a listening room. As for coiling them to put them away after a session, it becomes an unnecessary and unwelcomed chore. No, I’m not about to start championing wireless headphones, but these moves away from user-friendly wires are surely driving people into the arms of the Bluetooth merchants. Aside from my reservations he Meze ‘user experience’ is immediately gratifying, adhering to the principle established by Apple with all of its wares, and inspiring everyone from B&W to Wilson Audio. I’d posit that Apple could slip guano into an all-white, origami-esque carton and devotees would still be thrilled upon opening the box. As ludicrous as this may seem to audiophiles who don’t even blink at preamplifiers that arrive with badly-cut slabs of Styrofoam for protection, for some it’s nice to encounter a brand purchasers that their money is well-spent. Then we come to the technology. For one who still delights in using aged Stax electrostatics and who employs the Audeze LCD-X [HFN Sep ’14] as a reference, panel-type cans have always trumped conventional cones. There seems to be an inherent coherency, transparency and openness in such designs, and Meze Audio takes this a stage further by improving on the full-range concept through the use of what it describes as a hybrid array driver’. Meze collaborated with Rinaro Isodynamics, boasting of over 30 years of R&D experience in the field of planar magnetics and isodynamics, to devise the MZ3 driver, exclusively for use in the Empyrean. The world’s first and only ‘dual-shaped voice coil array’, the MZ3 combines two configurations – switchback and spiral-shaped – which the company says is a superior means of ‘allowing sound to be targeted with accuracy around the natural shape of the ear’. More on this in KH’s boxout, opposite. Among the claimed benefits for this concept, and its ‘anthropometric earpad design’, are increased direct exposure to frequencies over the 10kHz range, along with improved imaging and localisation. These are said to be the by-product of ‘decreasing the impact of short wave time delays caused by diffused field reflections’. Sounds wonderfully Wilsonian to me. That aside, ergonomically the Empyrean looks, feels and behaves like a circumaural headphone should. It may be slightly less sensitive than some [see KH’s Lab Report, p59] but I don’t see this as a basis for criticism in reviews of headphones. Indeed, it’s particularly absurd when assessing cans for use mainly with high-quality, and probably high-powered amplification. Conversely, I concur that it is absolutely an essential detail when assessing cans, especially earbuds, that will be used with severely power-limited, portable devices (mobile phones, tablets or digital players). For that situation, sensitivity does matter. Nevertheless, during exactly 50 years as a hi-fi user, dating back to the summer of 1968, when I bought my first system, I have only come across one pair of headphones that were genuinely ‘hard to drive’. And they were the notoriously insensitive Wharfedale Isodynamics. So when I switched from the [6dB] more sensitive Audeze LCD-X to the Meze Empyreans I had to rotate the volume control slightly clockwise. But this was well within the compass of the Quad PA-One [HFN Feb’ 15] that I used for much of my listening, and measured by editor PM at 130 mW/25 ohm – so not by any stretch the most powerful headphone amp featured in this magazine. Then we come to yet another source of personal irritation: the topic of comfort. How daft is this as a review concern? Since when were any two heads identical? Moreover I wear glasses when listening, so my observations are of no value to those spared the need for spectacles. Let’s dismiss the then: 1) I wore these for up to four hours at a time, during my work sessions, without complaint. 2) I ran them off everything from smartphone to iPad, dedicated headphone amps to built-in sockets on preamps, and not once did I feel the need for any more power. Whatever the technology, the Mezes – like the Audezes – are as easy to live with as any dynamic model. The classic isodynamic drive is rectilinear as well as planar. Opposed bar magnets arranged in rows near either face of the diaphragm, with north pole facing north pole and south pole facing south pole, create a ‘squashed’ magnetic field which is almost co-planar with it. In the areas of diaphragm between the magnets, a thin planar ‘voice coil’ runs parallel to the magnets, so that signal current within it – which generates its own, electromagnetic field – exerts a force on the diaphragm normal to its surface. Due to the distributed force, motion of the diaphragm is – at least at low frequencies – pistonic, and the sound generated is low-distortion due to the linearity of the squashed magnetic field over small excursions. Essentially the Empyrean drive unit is the same, but Rinaro’s design uniquely uses curved rather than straight magnets, arranged coaxially around a point where the diaphragm has a suspension point. The voice coil between the magnets is a curved switchback away from this point, before becoming circular adjacent to it. just-released Gerry & The Pacemakers Live At The BBC [Parlophone 0190295636319] – to the studio hits-plus-live-disc package from Squeeze, Spot The Difference [Love Records LVRCD003] from 2010, to re-mastered rock classics via the brand-new demonstration collection. Rock & Pops Hi Res CD Sampler [Universal Japan UNCY-40217/8]. to MQA by seasoned observers, due to performance extremes that can range from barely detectable subtlety to drastic, in-your-face clarity. On this occasion it showed immediately that the Empyrean is gloriously detailed and transparent, and thus suitable for serious monitoring. The tracks include Free’s ’Mr Big’, The Allman Brothers’ ‘You Don’t Love Me’ and songs by Marvin Gaye. Tears For Fears and Traffic – in all cases the ‘MQA effect’ is more strikingly evident via the Empyreans than is typical through loudspeakers. It was Traffic’s ‘John Barleycorn’ that proved the most revelatory, partly because it’s a sublime recording and partly because it is lean enough to ensure you’re not distracted by epic washes of sound. The timbre of the opening guitar, touch of the cymbal, carefully- enunciated vocals, the flute-like sounds stage right, and the recording’s gentleness ensure the listener can focus on particular instruments. And this exposed something else. We asked Meze Audio’s founder and lead designer whether one of the attractions of isodynamic drivers, particularly for a young headphone manufacturer, is that they are simpler to manufacture than conventional moving-coil units. ‘A simple planar driver (circular or parallel coil/magnets) is equally simple to manufacture but the Empyrean driver has a very complex architecture. I can say wholeheartedly that we definitely didn’t choose the simpler path! Does the use of two different coil structures mean that the diaphragm motion is non-pistonic? ‘The diaphragm in this hybrid driver offers pistonic movement in the same way as many other planar magnetic systems but the central part of the diaphragm is treated/ corrugated in a special way to harden the voice coil and improve the effect of pistonic movement. The diaphragm is not a uniform sheet: different treatments have been applied to specific areas. P9 Signature [HFN Mar ’17], Focal’s Spirit Pro [HFN Dec ’15] and others. 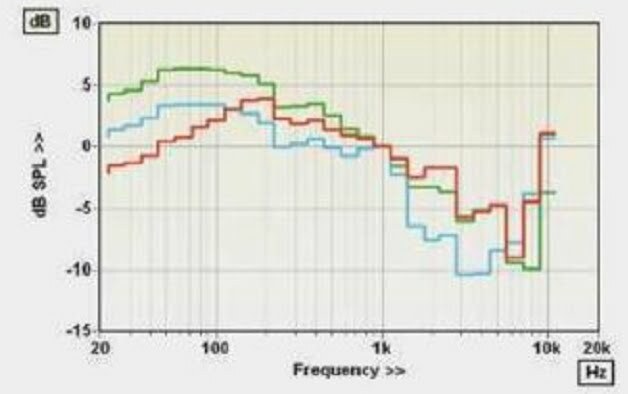 This is independent of valve vs. solid- state power, which I verified using both sorts of headphone amps. However, as you have already surmised, these sound softer with tubed models, and the added lushness, especially in the lower registers, will either seduce or repel you. With the powerful rhythm section of The Allman Brothers, the softness of valves affected the impact, so it was preferred through my solid-state devices. Conversely, on the very same disc, the Traffic track enjoyed greater warmth via Quad’s PA-One. Lest this suggest a need for two headphone amps, neither is this consistent. 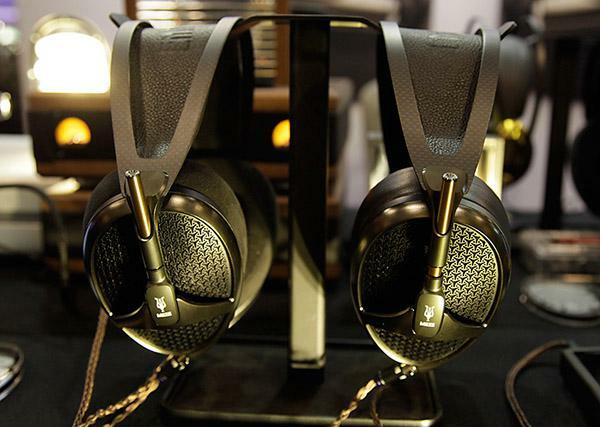 You have to choose one or the other, just as the Audeze LCD-Xs sound more natural (to me) with valve headphone power. I cannot stress enough that headphones must be auditioned with the preamp that will be driving them. So far, so inconclusive. What I looked for instead were characteristics that defined their sound, present regardless of disc, player or amp. In particular Meze has done a terrific job in creating a headphone with superlative image placement. But. as with all headphones, this comes with a caveat: when the sound is in one’s head, three-dimensionality doesn’t apply unless the source is binaural, or heard via some spatial simulator. Meze’s headphone sounds deliciously wide and unconstrained, although the Audeze LCD-X does a slightly better job of extending these sounds beyond the physical boundaries of the headset. The aforementioned flute thingie in ‘John Barleycorn’, for example, was discernibly further right from the centre than via the Empyrean. But that is quantitative, not qualitative, so I also spent time with mono recordings, including the aforementioned Gerry & The Pacemakers sets and the mono edition of The Beach Boys’ Pet Sounds [Universal UNCY-40181]. Here the inside-your-head presence is inherent, so you can dismiss spatial concerns. And what did they prove? That, above all, the Meze Empyrean is supremely musical. As with all headphones - more so than any other components - the ultimate decision has to be truly personal: you must try them on first, and make your own decision about comfort. Equally, the sonic appeal will be affected by both taste and by matching with your chosen headphone amp. Once these are addressed, you will find, as did I, the Meze Empyrean ranks among the most satisfying cans money can buy. MEZE EMPYREAN earlier reputation tor low sensitivity. 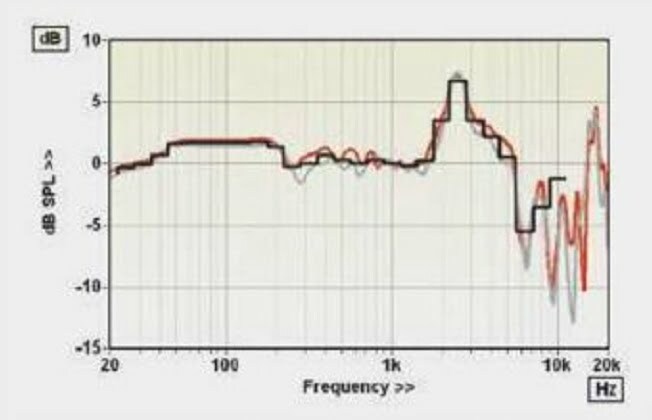 The Empyrean is tar from being a low-sensitivity example but our measured figure of 109.3dB SPL for 1V at 1kHz, averaged for the two capsules, sets it somewhat below the state-of-the-art in this respect. We recorded 115.2dB from the Audeze EL-8 open-back [HFN Oct ’15] – the best we’ve measured from a planar magnetic thus far. The open-back version of the EL-8 has an impedance of about 31ohm, which is only a tad less than that of the Empyrean (which has a measured impedance range of 32.6-33.2ohm over in impedance is sufficiently small that any variation in frequency response, due to finite source impedance of your headphone amp, will also be negligible. The uncorrected frequency responses for the two capsules, averaged from ten measurements per channel between each of which the headphone is re-seated on the artificial ear, are entirely typical of isodynamic headphones [Graph 1, below].